If you’re all about treating yourself (we know we are), Haven should be on your list. Located in the heart of Newstead, the food and lifestyle precinct is jam-packed with gems that will assist you in living your best life. You can kick some culinary bucket-list goals by trying cheese-wheel pasta, nori tacos and concrete shakes or getting a fancy new oven, up your beauty game with eyelash extensions, or get ready for summer with a new workout routine – whatever you’re chasing, Haven has it covered. 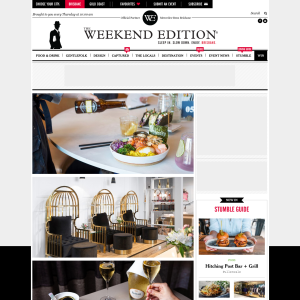 The Weekend Edition and Haven Newstead are giving you the chance to win a taste of Haven package – valued at more than $2700! Enter below for your chance to win. Can’t wait to get a taste of Haven? Follow the precinct on Instagram for updates, special offers and events! Competition closes Friday November 30 at 11:59 pm. Winner will be contacted by phone and email.